At school we have been working on our writing skills. One day, we thought we should write a poem. I know my poem by heart. It is called Tiny Warm House. She sleeps in a tiny warm house. Here is a photo of my poem. 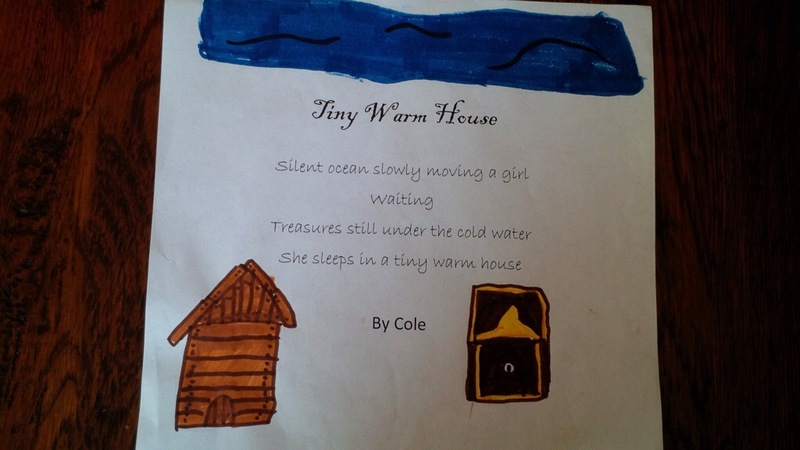 I love this poem Cole. I was so happy to hear you recite it out loud at your school.